TBD.com, the Washington, D.C., hyperlocal news site branding the online operations of Allbritton Communication’ WJLA-TV and Newschannel 8 under the TBD umbrella, is tabling its local ad network, citing limited advertiser interest. The site currently has agreements with more than 200 blogs and local sites (up from 120 at launch in August) to link to their work from TBD’s home page. As an extension of this hub-and-spoke strategy, which blends original content with outside linking, TBD formed the ad network so that its sales force could leverage the reach of these content partners for bigger and more targeted buys. Former TBD General Manager Jim Brady told BIA/Kelsey in September that the hope was that advertisers would see added value in delivering messages to wider audiences, but at geo- and contextually targeted levels (local sports teams or Fairfax County families, for example). At the time, three purely digital sellers were brought on-board to complement Allbritton’s 20-plus member TV sales force. Early takers were the MLS soccer team D.C. United and the Washington Opera. 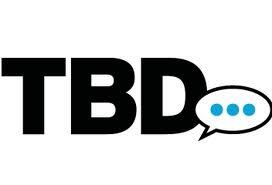 But according to Steve Buttry, TBD’s director of community engagement, “the advertising aspect of the network has not taken off as effectively as the traffic and linking relationship.” TBD will now consider alternative approaches. Brady resigned his post in early November after philosophical disagreements with management over future content directions for the site. TBD is not alone in experimenting with community ad networks. Recently, KING-TV in Seattle, in conjunction with the Seattle Times, developed an online ad network in which the TV and newspaper sales teams market to mid-market clients and agencies across a swath of 28 western Washington blogs. It is part of Belo’s beLOCAL Ad Network, a division of belocalmedia.com. As always, you need to check always to determine if there has been any subsequent changes made for the above-mentioned. takes gently. They don’t plan to employ any more employees .